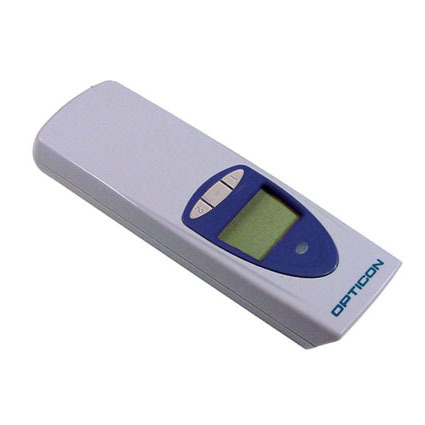 The Opticon OPL 9723 bar code data collector features 3 buttons and LCD screen to aid in your data collection needs. With a ruggedized IP54 certified seal capable of surviving multiple 5´drops to concrete, the Opticon OPL 9723 is rugged enough for retail inventory management. This product has been discontinued. Please call for a suitable replacement. Dimensions (W x D x H): 1.65" x 0.75" x 4.92"
Decode Range: 1.5" to 12"